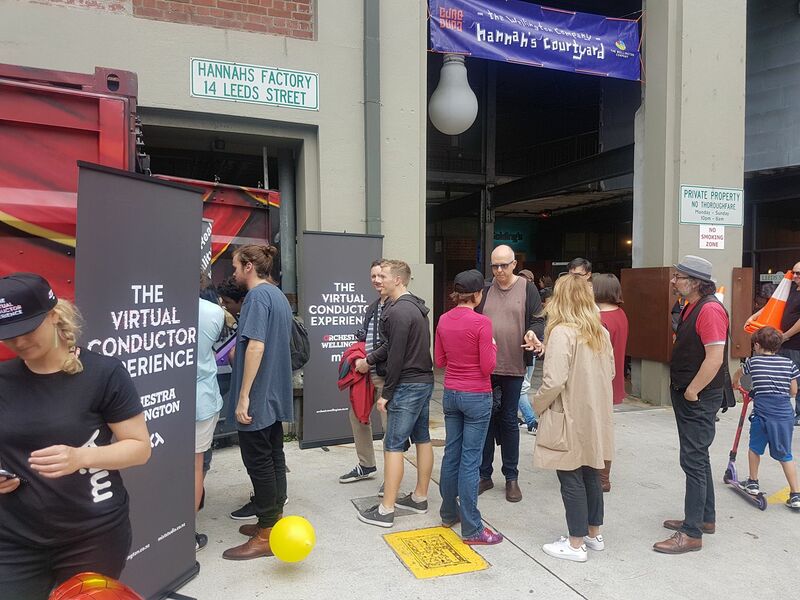 The world premiere of the Virtual Conductor Experience launched at the CubaDupa Festival on Saturday 24th March 2018, and it was a buzz. Over the past two years we’ve been privileged to work with a number of different companies, but it’s always refreshing when you get to work with one that knows what they want and is ahead of the digital game. Orchestra Wellington was the first Orchestra in NZ to film a 360° experience back in July 2016. Almost exactly a year later NZSO had a go with their 360 rehearsal experience that allowed you to move into different positions while they practised. Once again Orchestra Wellington has pushed the boundaries with their latest work, filming from a conductors perspective with a full live audience! One of the beauties of this experience is it’s appeal to an audience aged 3-80+. On the day it was a delight to watch kids and adults conducting in our little booth. Completely removing the Conductor, we allow the audience to step into the conductor’s shoes with a live audience. With 2000 people watching you it certainly feels like the real deal. In terms of the shoot we had only a single take available so we had to get it right first time. A full live audience and one take certainly added some complexities (and a little anxiety) for our fantastically talented DOP Dan. Stitching a live orchestra also threw up some technical challenges as 30+ musicians create a fair amount of movement. Using some great footage off our custom rig & our favourite compositing software the team created a slick 8k output that looks fantastic. The audio was recorded by RNZ Concert while we looked after the filming, post-production, compositing, motion graphics and editing. Working with the Marketing Manager Marek Peszynski was great as he was able to visualise the contents use after the installation, with its applications in education and accessibility of music. “The finished product immerses you into the world of the symphony conductor, standing on the podium to lead a 90 piece orchestra as they perform the powerful Rite of Spring by Igor Stravinsky in front of a full live audience,” says Marek. Have a listen to the full RNZ interview with Marek here. 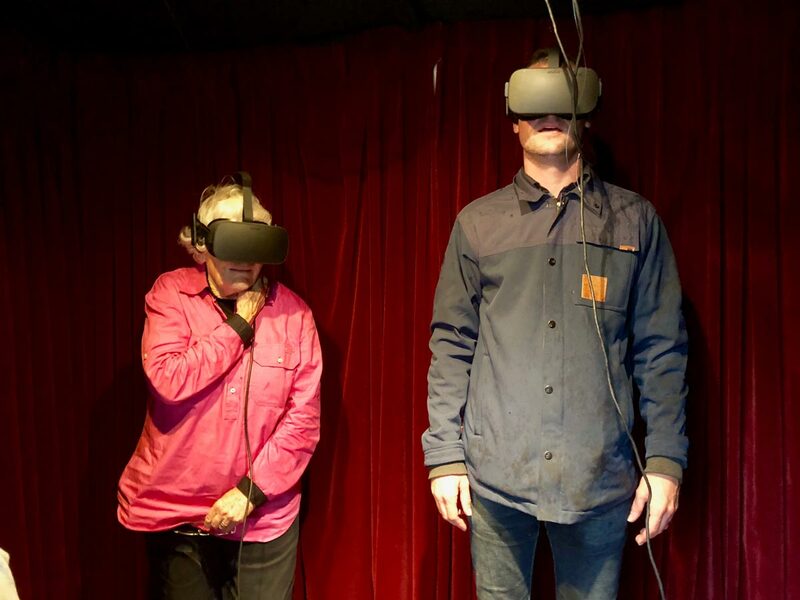 Following its CubaDupa release, the 360 virtual concert will be online later this month. Orchestra Wellington has been performing for the Wellington region for seventy years and has recently had an astonishing period of growth, tripling its audience in two years. If they keep thinking about the use of virtual and augmented reality as a tool for education and bringing live experiences to our homes, they’ll continue to be the orchestra for our people.